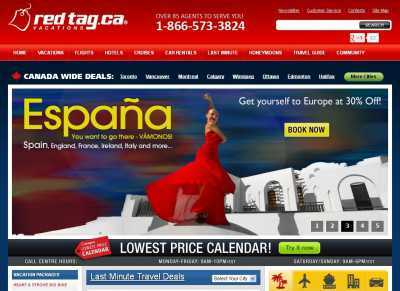 As far as planning a vacation online goes, this Canadian website is one that just won’t disappoint you. 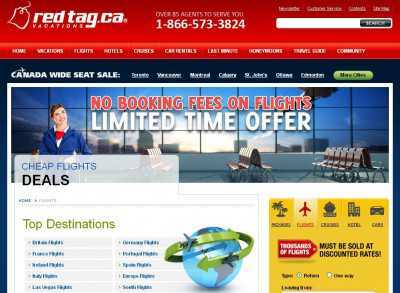 RedTag.ca covers the whole world, and it lets you book flights, hotels and cruises using an intuitive interface. All you must do is to pick the country you’re keen on visiting, set down the time you’ll be there and specify how many people will be traveling with you. Upon submitting that information, you’ll be presented with a list of available flights/hotels/cruises. You’ll then be able to compare everything side to side, and (once your mind’s made up) book the one that seems like the biggest bargain. 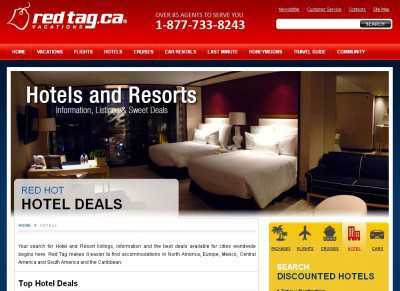 All five continents are already covered, and RedTag.ca includes lists with these destinations that are in more demand. And the site also features packages for people such as honeymooners – check them out here. And in addition to letting you book flights, hotels and cruises, the site lets you rent cars and access online travel guides for planning everything as minutely as possible. Moreover, a “Last Minute” category is included for those who suddenly decide to take a break, and don’t want to filter through one page of results after the other. Well, that part of the site brings the hottest (and most affordable) destinations on the same page, for you to quickly know where to head down for a memorable holiday in the blink of an eye.